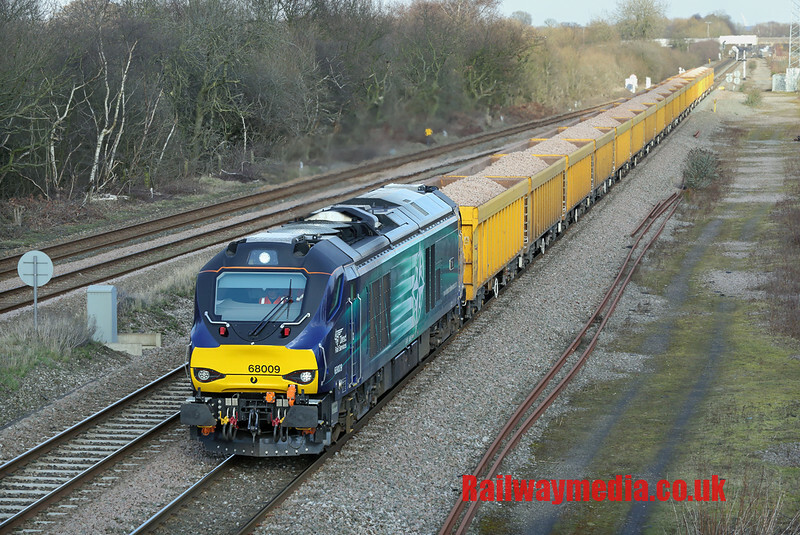 Welcome to the 65th Edition of the Railwaymedia blog covering where I've been and what I've been photographing during the past month. Amazingly I have managed to even have a full day out photographing mainly railways as opposed to buses for the first time this year. My March trips started out in Scotland two days running, both work related, with visits to both Glasgow and Edinburgh. 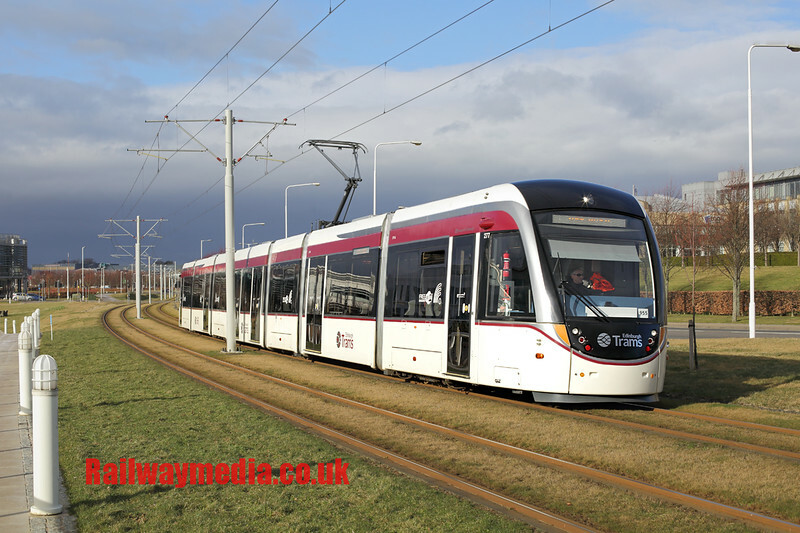 I managed a bit more time in the latter and have finally got to ride on most of the new tramway there. As is usual for Britain, unlike many European cities, you have to pay a massive surcharge to travel the about 3/4 mile from the final stop before the Airport to the terminal itself. For all the rest of the route the tram fares are the same, and integrated, with the buses (to be fair that in itself is highly unusual in Britain), so you can go all the way from the City Centre to Ingliston for £1.50 (or £3.50 for an entire day) but to go one more stop it is £5 or £9 return. My advice - alight at the Ingliston Park and Ride and catch the 35 which runs every 15 minutes to the Airport. The following day I ended up in the Cheshire area with work. 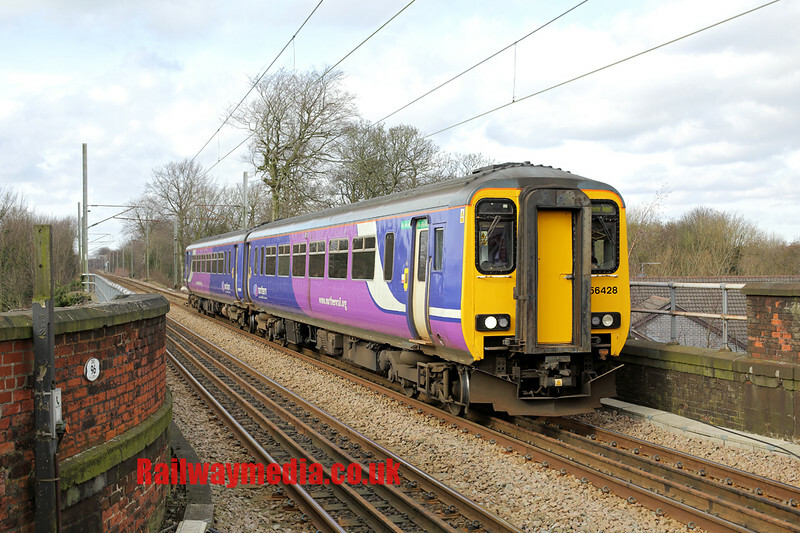 I thought I'd use the opportunity to photograph the 'new' class 319 EMU's which had begun service for Northern Rail that week on Liverpool to Manchester Airport services, utilising the recently electrified section from Edge Hill to Earlestown. There were two out in service in the morning before I set out unfortunately as not enough drivers are yet trained on them only one was out in service between the peak periods, so what I was expecting to be a newly painted four car electric turned up as a bog-standard class 156. I spent the rest of the day wandering slowly home via bits of Cheshire and Merseyside I had not visited for a long time; place like Widnes and Runcorn I used to go to regularly when I was at school and college so it was nice after 20 years to get some more pictures of the local Halton Transport buses, one of the few council owned operators that managed to survive the demands by the previous Conservative Government to privatise the industry. 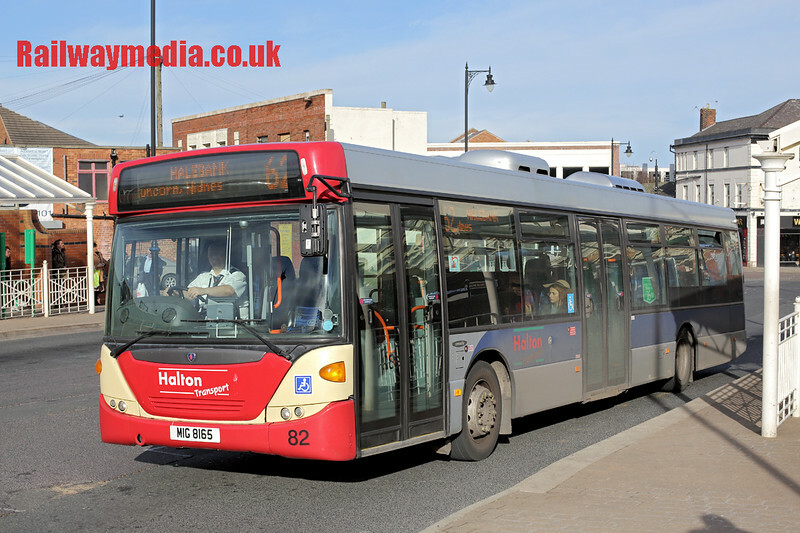 Back then Halton could generally afford new buses but more as a result of the decline of the area rather than anything the company has done this is less the case now. Alongside some of their own vehicles they have now got a batch of secondhand Scanias from Metrobus. They are being rebuilt to do away with the centre doors so some, like this one seen in Runcorn Old Town have only had the front painted as an interim measure. The following Tuesday was very much a day of 'firsts' with not only my first proper railway photography day of the year but my first shots of several classes and types of loco. With good weather forecast for much of the country I had the choice of pretty much anywhere to go. Heading down towards Cheltenham and beyond was a non-starter due to it being the first day of the Cheltenham Cup Festival; Scotland I had visited the previous week and I didn't feel like heading somewhere like London, so I settled on the tried and tested Willington area in Derbyshire. 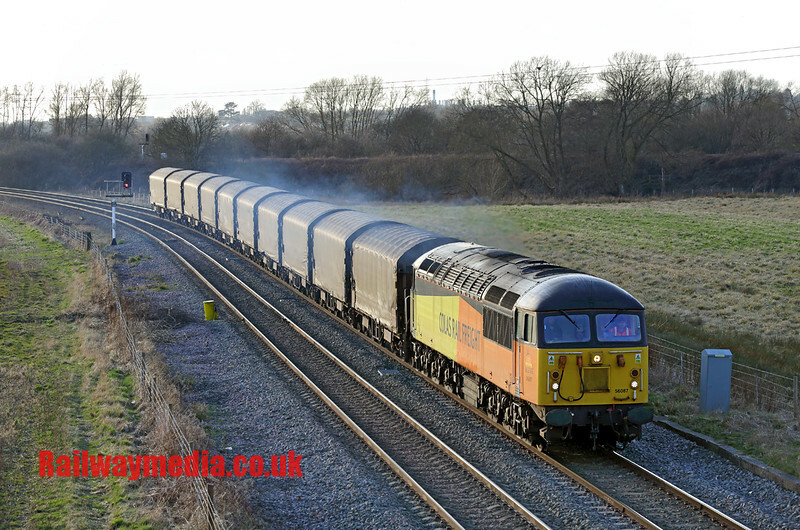 I have been there several times previously as the line from Derby towards Birmingham is probably the best in the country for variety of freight trains running. Unfortunately the excellent book to the locations on this route has long since sold out but Marcus Dawson's Trainspots website will give you the same details as to where the various bridges and footbridges are and how to reach them. Willington is served by an infrequent Cross Country train service with some of the Nottingham-Birmingham-Cardiff trains stopping there, but you need to check very carefully which ones. The most popular footbridge is at North Stafford Junction about a 15-20 minute walk along the canal from the station, but I thought I would make a first visit by way of a change to the footbridge to the west of the station. If anything this is quicker to reach and a much nicer location, although you miss any trains that head towards Stoke via Uttoxeter as they turn off before reaching Willington. At the time I took it I thought this picture of 70809 on a Ratcliffe to Gloucester empty coal train was my first picture of one of this subclass but I had forgotten that 70802 was trialled on the Carlisle to Chirk log train last July which I saw at Brock on the West Coast Main Line. 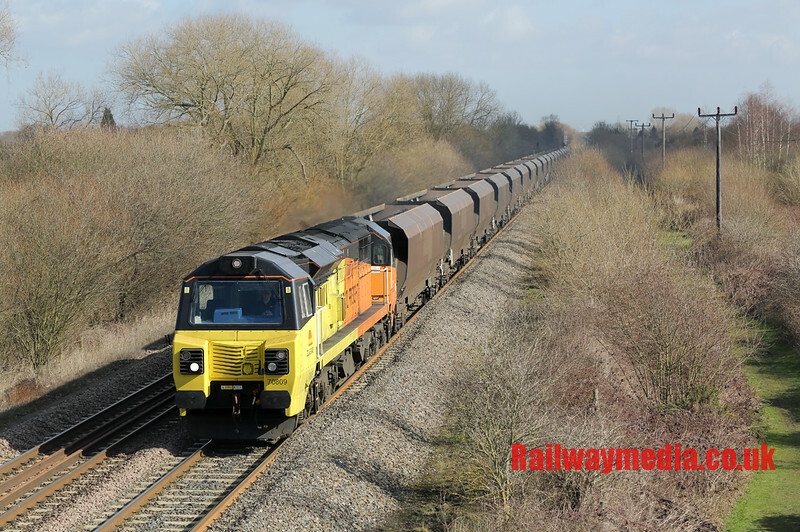 Another of the new types of loco I saw that day was again a Colas Rail one, being my first picture of one of their refurbished class 60 locos on a move from Toton to Crewe. The highlight for me and the main reason for choosing the area to visit though was the likelihood of one of DRS' new Class 68s on its regular Mountsorrel to Basford Hall working, one of the few trains almost gauranteed to produce one of the class at the front, aside from the ones starting to haul Chiltern passenger trains. Unfortunately the sun wasn't guaranteed and as can be seen it was 'almost but not quite'. After this passed I had a bit of a dilemna: whether to head back to Willington for a train to Birmingham where there were pubs to wait in but the picture of the expected Colas Class 56 on the Boston Docks steel train would be looking straight into the sun (if there was any), or to continue walking towards Derby to Stenson and then be forced to get a bus into Derby. The bridge you can see in the distance (behind the class 68 pictured above) is the road bridge at Stenson Junction; by following this road you get to a small bridge crossing the freight only line round the corner. Had it been a Friday I might have gone for the Willington option but knowing there are a few excellent pubs near Derby station which wouldn't be too busy on a Tuesday I decided to go for a walk that way. The light, whilst still wrong at Stenson, wasn't nearly as bad as it would've been at Willington so this proved the best option. I also found an excellent pub by the canal near the bridge (The Bubble Inn) so had a nice wood-fired pizza and a few pints there as the sun was setting before catching the bus from nearby Stenson Fields into town. The two best pubs near Derby station incidentally are The Brunswick Inn and The Alexandra Hotel. I settled on the latter purely as I hadn't visited it previously. 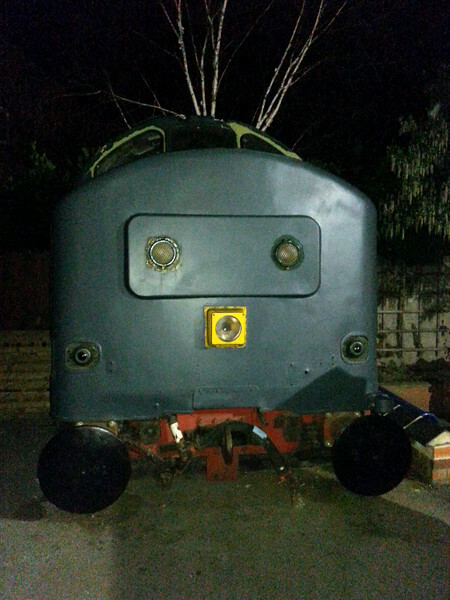 If you like railwayana that's the place to go by the way, more later. 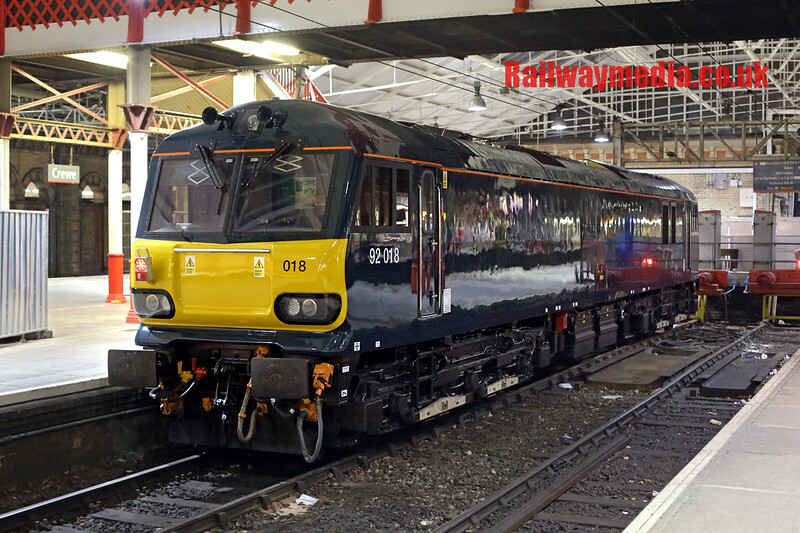 Incidentally there was one final 'first' that day in so much as one of the class 92s recently repainted for the new Serco Caledonian Sleeper contract was parked in the bay platforms at Crewe as I passed through. There had been two there in the morning but the other was out on test. I didn't plan on going too far the following day as I intended another full day out on Thursday. 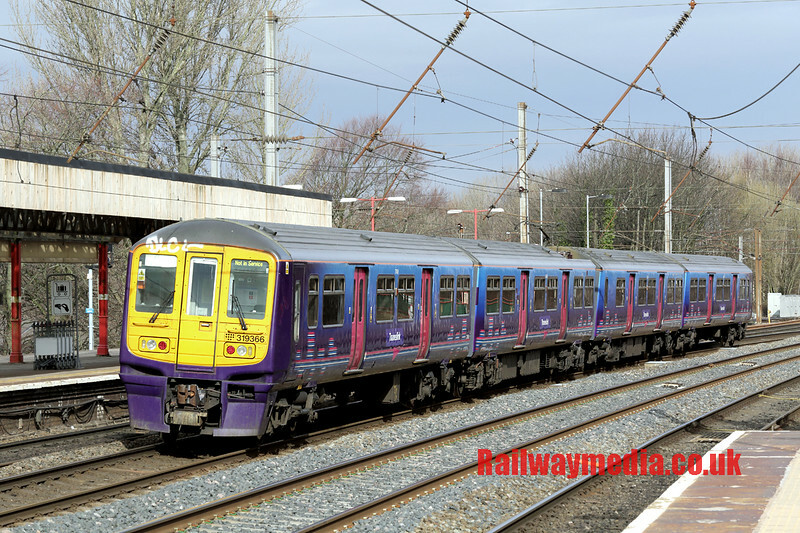 With driver training stepping up on the class 319s for Northern Rail they have hired one in, 319366, directly from Thameslink in order to familiarise Wigan based crews pending introduction on services from there to Liverpool as soon as enough units arrive in the North-West. An intensive series of training runs from Preston to Carnforth are being undertaken so it was a good opportunity to finally get a picture of one, albeit a scruffy First Group liveried example. I don't normally take going away shots but as the sun was out I took one of the set heading north through Lancaster: just as well as it was very dull and pouring down with rain when it returned less than 25 minutes later. The Thursday trip I wanted to include a few Wetherspoons branches I hadn't previously visited. Cheltenham and Gloucester would have been ideal but again the horse racing, and more specifically the number of people who try to use the train from Birmingham to reach there, put me off that idea so I decided on an area based around Aldershot and the Blackwater Valley, as it is known. With five branches to visit in Alton, Aldershot, Farnborough, Fleet and Camberley (and a sixth in Woking as I was passing) it took me a bit of working out the optimum way of fitting them in as it isn't an area I had up until now known very well. I used to pass through Alton in the car enroute home when I lived in Sussex but I had never, to my knowledge, ever caught a train to the town. Alton is of course at one end of the Mid Hants Railway, though being midweek there were no trains running on it. The town is well served from London every 30 minutes, except for one mid-morning gap of an hour which needless to say coincided with the time I wanted to reach there. This gap is due to the presence of an oil depot at Holybourne mid-way down the single track section from Farnham. This appears to be timetabled to run on Mondays, Wednesdays and Fridays and travels to Alton for the engine to run round the train before reversing into the oil terminal. It departs then in the evening. This gap forced me to spend half an hour extra somewhere so I settled for Brookwood on the South West Main Line, rather than Farnham, and managed a few pictures at Necropolis Central. The rest of the day was spent around the not entirely inspiring centres of Aldershot and Farnborough. The military presecne (Aldershot being known as the Home of the British Army) is everywhere but large parts of both towns, and Camberley, have been pretty unsympathetically pedestrianised with large shopping centres built. When it came to trains the only thing of note for me was to ride on the line from Ash Vale to Ascot, though due to ending up on a college bus which I though was going to Farnborough but instead whisked me off to some random part of Aldershot, I never got to do the short curve of line between Ash and Aldershot. I'm sure I'll get time to do that again. On the bus theme, there are still quite a few Volvo Olympians being used for school work in the area. 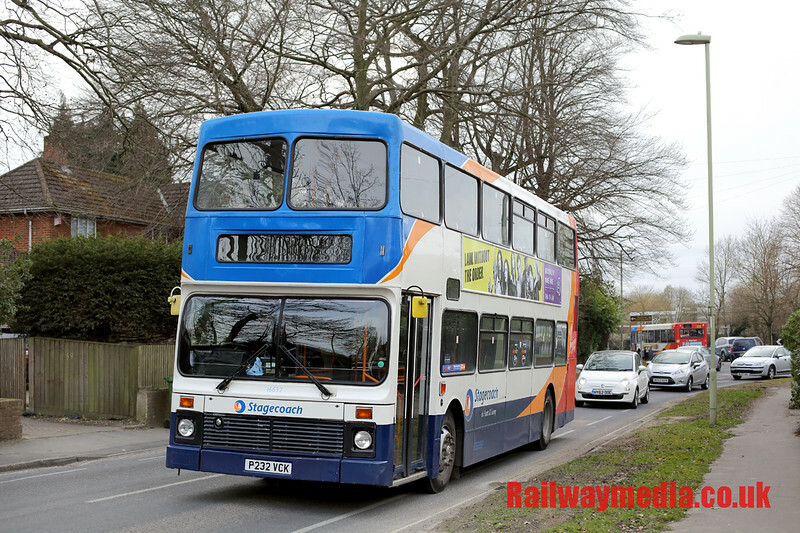 The Stagecoach garage is quite near Aldershot station; one good place to see a few of them working is Farnborough Sixth Form college at home time. This is the bus I ended up lost on. As I mentioned I ended up on the train to Ascot. 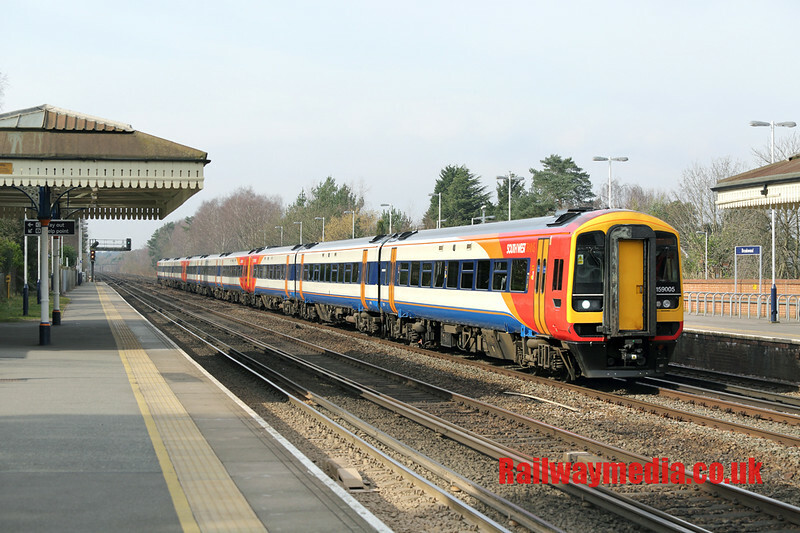 The Guildford to Ascot service is currently being operated by, from observation, five double sets of former Southern two-car Class 456 units. 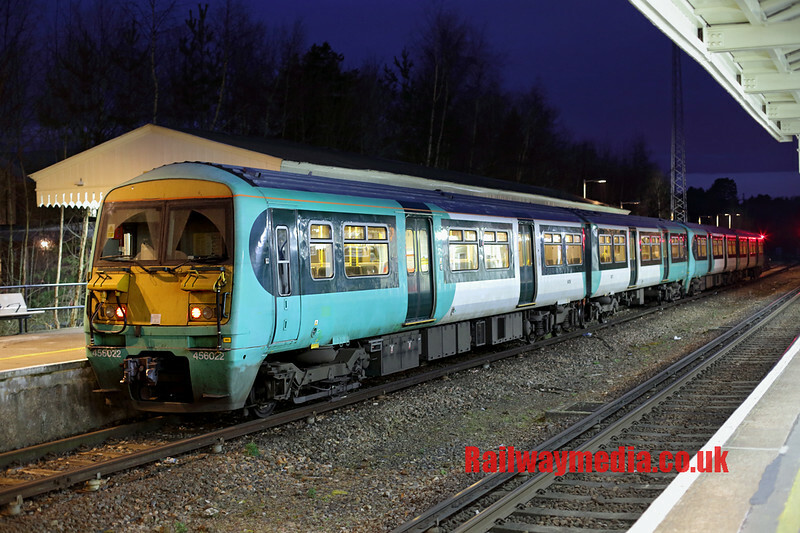 To me this is a total waste of resources as they don't appear to ever need more than two coaches, certainly a lot of commuters in the North rammed into two-car Pacer units would be interested to see how much room travellers in that area get to themselves on the train. The service itself seems very loosely timed with a turn round of 27 minutes at Ascot and reversal times of 12-14 minutes in each direction at Aldershot. I know it isn't quite as simple as it would seem to alter these whilst maintaining good connections from London but something surely better can be done. With a day of rest Friday to catch up with sorting a few of the weeks pictures out, Saturday was unashamedly about buses and beer. 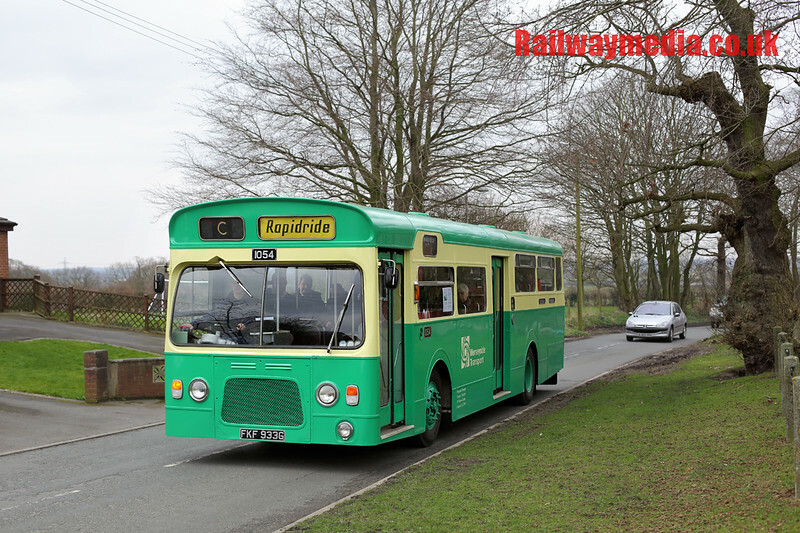 The Merseyside Transport Trust have several bus running days a year, the March one featured two half-hourly free routes centered on Burscough in Lancashire serving neighbouring towns, and more importantly pubs. As always an excellent day and even if the real ale on offer in all the country pubs isn't your thing, a nice ride on 40+ year old buses round the West Lancashire countryside is a pleasant way to spend a day. Thanks to the organisers. I think that about concludes this edition of the blog, a busy two weeks and now hopefully a couple more weeks to catch up on more of my re-processing of my older scanned pictures for the website. I'll leave you with a picture of what is 'parked' round the back of the car park at the Alexandra Hotel in Derby to go with all the railway-related signs inside the pub. The friendly guard on the train back to Crewe told me which engine it had come from, which was a bit of a shock as it is one cab from the celebrity green 37411. Last time I saw this engine was during the final weekend of hauled services on the Cardiff to Rhymney trains, seen HERE on the Saturday night after arrival at Rhymney. On that sad note I'll take my leave, thanks as always for reading and I hope you will keep checking my New Additions section for updates. Bye for now.